South African model Reeva Steenkamp died early on February 14, 2013, after a shooting at the Pretoria home of her boyfriend, Olympian Oscar Pistorius. This undated handout picture released on February 14, 2013 by "Ice Models" in South Africa shows model Reeva Steenkamp. Capacity Relations, the agency that represents Steenkamp, announced her death. "She was the kindest, sweetest human being; an angel on earth and will be sorely missed," the agency said on Twitter. The model was born in Cape Town and grew up in Port Elizabeth. She later moved to Johannesburg, where she worked for various companies, including Toyota and cosmetics maker Avon. Steenkamp, who had a law degree, has also worked as a presenter for FashionTV in South Africa and as a FHM covergirl. Her passion included cars and cooking, and she was set to appear in the Tropika Island of Treasure Show on Saturday, according to the show's website. "We are deeply saddened and extend our condolences to Reeva's family and friends," the show said in a message on its website. 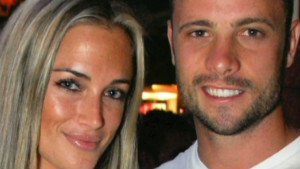 Steenkamp died after a shooting at the Pretoria home of Olympian Oscar Pistorius. She is pictured here on February 07, 2013 in Johannesburg, South Africa. A picture taken on January 26, 2013 shows Oscar Pistorius posing next to his girlfriend Reeva Steenkamp at Melrose Arch in Johannesburg. Pretoria, South Africa (CNN) -- Model Reeva Steenkamp was shot four times through the bathroom door at the home of Olympian Oscar Pistorius, a South African official familiar with the case told CNN on Monday. She was alive after she was shot and was carried downstairs by Pistorius, said the official, who was not authorized to release details to the media. A blood-stained cricket bat has also emerged as key evidence in the case, according to the City Press newspaper of Johannesburg. Detectives are working to determine whether the bat was used to attack Steenkamp or she used it in self-defense, the newspaper reported, citing a source with inside knowledge of the case. Detectives are also looking into the possibility that Pistorius used the bat to break down the bathroom door. The details are the latest to emerge in the shooting death that has roiled the nation and left South Africans asking what went so terribly wrong inside the upscale Pretoria home of the man nicknamed "Blade Runner" for his lightning-fast prosthetic legs. The official, who spoke on condition of anonymity, said there were indications the 29-year-old model intended to stay the night at the house: She had an overnight bag and her iPad. Authorities have released little about a possible motive in the Valentine's Day shooting, while local media have reported that Pistorius had mistaken his girlfriend for an intruder. South African authorities have stressed that the scenario did not come from them, and said there was no evidence of forced entry at the home. Police have charged Pistorius with murder, and he will appear in court Tuesday for a bail hearing. South African prosecutors have said they intend to upgrade the charge to premeditated murder, but have not released further details. Pistorius, 26, has rejected the murder allegation "in the strongest terms," his agent said in a statement. The same day Pistorius returns to court, Steenkamp will be buried in a private service in her hometown of Port Elizabeth. Her burial Tuesday will come two days after South Africa's national broadcaster aired a pre-recorded reality TV show featuring Steenkamp discussing her exit from "Tropika Island of Treasure," on which local celebrities compete for prize money. The decision to air the program took "much deliberation," and "this week's episode will be dedicated to Reeva's memory," said Samantha Moon, the executive producer. The shooting has stunned South Africa, where Pistorius is a national hero as the first disabled athlete to compete in the able-bodied Olympic Games. He competed in the London Games as well as winning two gold medals in the Paralympic Games. Headlines about the case have dominated in the days since Pistorius was arrested, though tight-lipped authorities have revealed little about what, if anything, the track star has said. 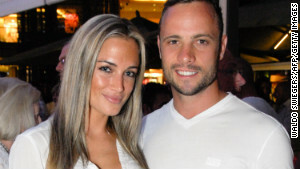 Reports say Pistorius and Steenkamp became an item around November and were popular in South African social circles. The night before the shooting, Steenkamp appeared to be looking forward to Valentine's Day. "What do you have up your sleeve for your love tomorrow?" she asked her Twitter followers the day before. "Get excited." Steenkamp was found in a pool of blood at Pistorius' home Thursday morning. Neighbors alerted authorities to the early morning shooting, saying they had "heard things earlier," police spokeswoman Denise Beukes has said. She did not clarify what the neighbors reported they heard. Authorities also have not said whether Pistorius called for help. Pictures of his walk to a police car, his head covered by a sweatshirt, have flashed repeatedly across television screens. On Sunday, Pistorius canceled his appearances in five upcoming races. The move is meant to help Pistorius focus on the legal proceedings and "help and support all those involved as they try to come to terms with this very difficult and distressing situation," said Peet Van Zyl of Pistorius' management company, In Site Athlete Management. CNN's Robyn Curnow reported from South Africa; Chelsea J. Carter and Faith Karimi reported from Atlanta. What will Pistorius face in jail? Who is 'Blade Runner' Pistorius? He was the so-called "Fastest Man on No Legs," and his inspiring story captured the imagination of the world at the London Olympics. The striking, platinum-haired model was gearing up for her reality television debut. Her name is Thokozile Matilda Masipa, and she is the woman who decided the fate of athlete Oscar Pistorius. 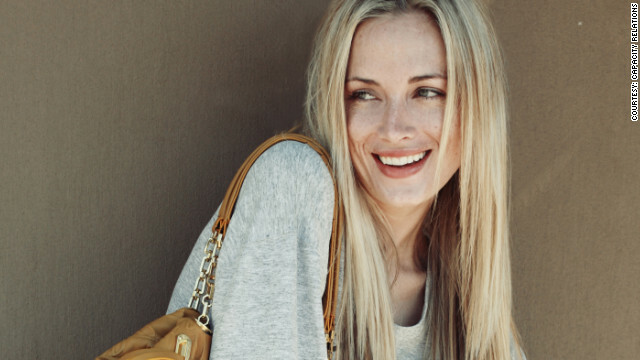 Previously unseen photographs of Reeva Steenkamp show the South African beauty just months before her tragic death. The photos of Oscar Pistorius and girlfriend Reeva Steenkamp appear to show a young couple in love. A week before her death, South African model Reeva Steenkamp talked about her secure, blissful environment. He was the first amputee to compete at an able-bodied Olympics. Now, he's being accused of murdering his girlfriend. Judge Masipa has Oscar Pistorius stand up as she reads her verdicts. CNN's Robyn Curnow looks back at some of the key moments in the trial. CNN's Robyn Curnow reflects on her visit to athlete Oscar Pistorius' home, before he was on trial for murder. Take a virtual tour of the athlete's apartment to see what happened. Pistorius at the mercy of a 'bull dog'? Prosecutor Gerrie Nel is known as the "bull dog" in South Africa's legal circles, and it's easy to see why. As the athlete is grilled in court, Becky Anderson asks psychologist Dr. James Thompson about his state of mind.